Mark Stocks was born in Islington, London in England and in 2004 moved to Edinburgh to live with he's partner Aileen. Mark has always been interested in the paranormal but in 2006 he decided too take it up more seriously. Mark just loves taking photo's on vigils (if not on camcorder) and seeing the end results you never know what to expect. Mark wants to do some ghosthunting in England but says there's so much going on in scotland but will eventually go up and down the united kingdom. I want to take the midlothian paranormal investgations team too has many places as possible not just Scotland but England too. 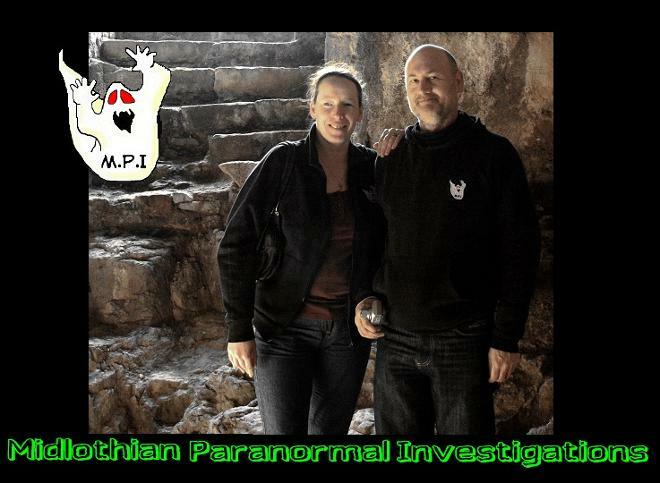 It will be an experience for all the team not just in ghosthunting but the wonderful places/scenery too. Aileen copland was born in Edinburgh and has a great love for Scotland she loves it's history and it's architecture. Aileens the sceptic of the group, while she's heard and seen things she cant explain she's the first to search for a logical explaination. Aileen enjoy's using the different equipment and is always on the lookout for new gadgets to use. Aileen is the multi skilled member, she's the researcher, historian and is always looking for new locations. Aileen also writes our newsletter.